« TOO HOT FOR THE INTERNET at Gunz Inc! Ruger lightweight compact pistols (LCP) are compact, yet powerful. 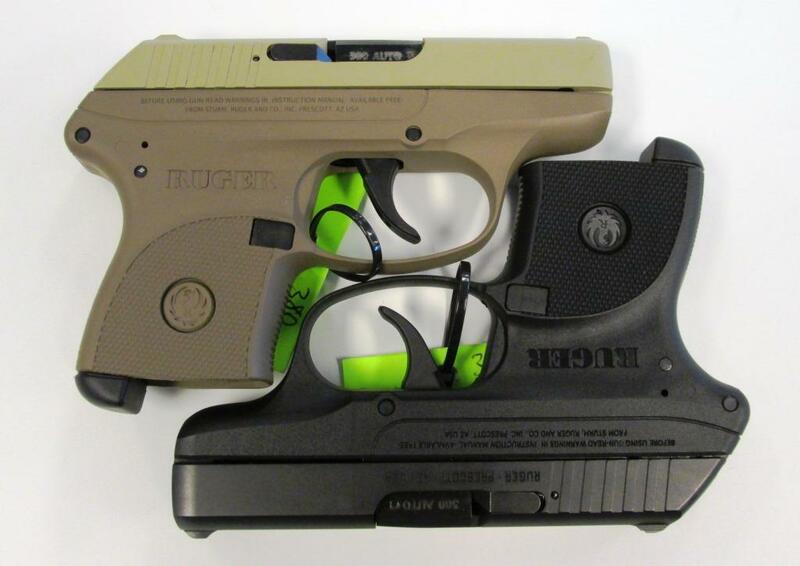 From the perfect backup firearm for law enforcement to licensed carry for personal protection, Ruger lightweight compact pistols are the perfect choice, and Gunz Inc. has them in stock for you! Chambered in .380 ACP, these pistols have a small outline at only 5.2″ long overall, and just over 3/4″ thick! That tiny package makes them perfect for concealment in a jeans, vest, or jacket pocket, a purse, or the center console of your vehicle. The 6+1 capacity and integrated sights give you plenty of opportunity to stop threats like muggers, car-jackers, and other violent criminals from hurting you or your loved ones if you are ever attacked. This ideal CCDW pocket pistol is available in the Gunz Inc. showroom in Valley Station in standard black finish for only $319.99, or upgrade to the tan frame/slide model for only $30 more.